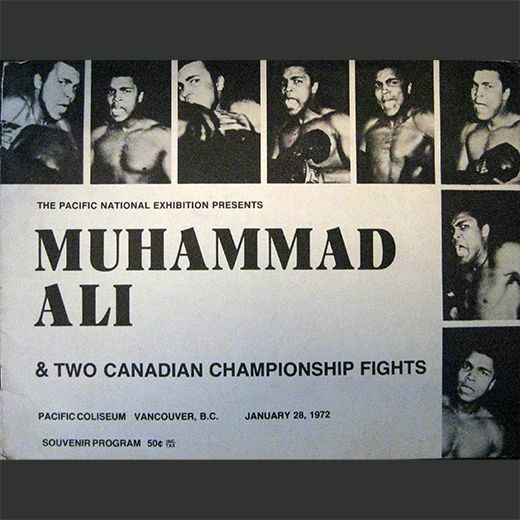 January 28,1972, Vancouver, Canada. 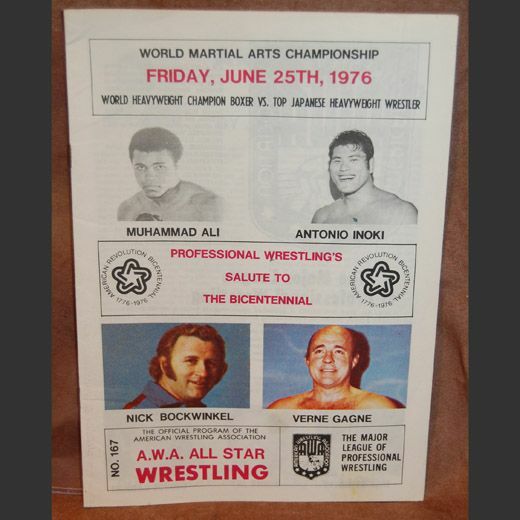 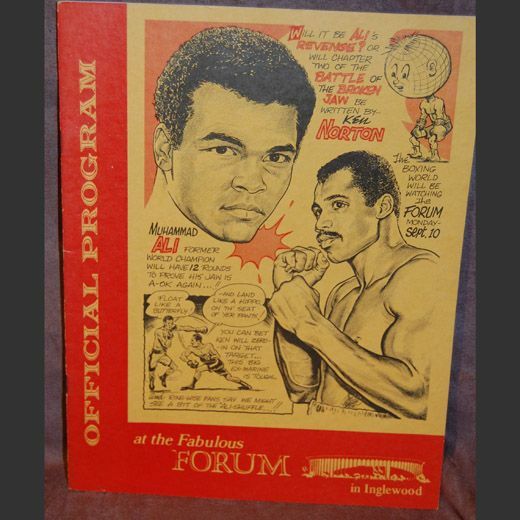 This is a 4 page program for 2 exhibition matches that Ali fought against Alonzo Johnson and Jeff Merritt both were 5 rounders, Ali had fought Johnson in his 8th professional fight in 1961, the main event that evening was Clyde Gray defending his Canadian Welterweight title vs Lonnie States winning by a 4th round KO, George Chuvalo also defended his Canadian Heavyweight titla by knocking out Charlie Chase in the 6th round, Chuvalo had fought Ali to a 15th round loss for the title in 1966 and in May of that year would fight Ali again losing a 12 round decision, program is solid and not scored. 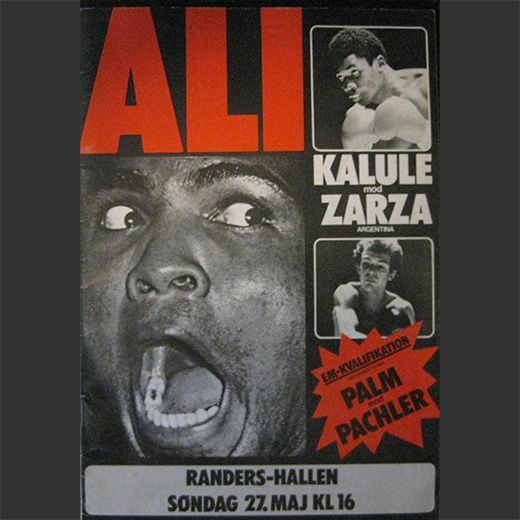 From Denmark, May 27th, 1979. 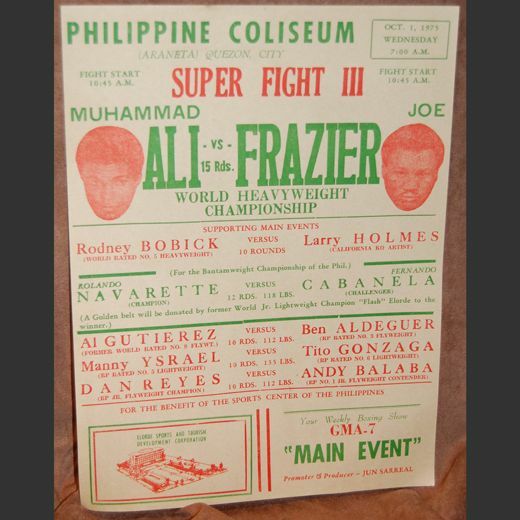 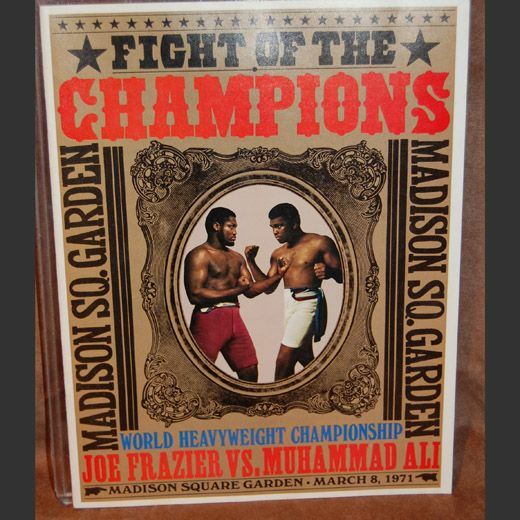 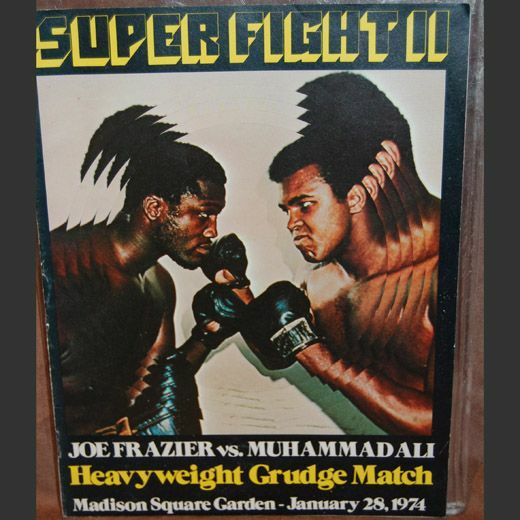 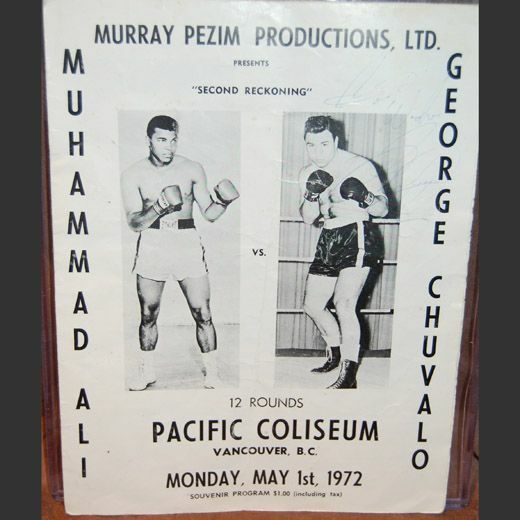 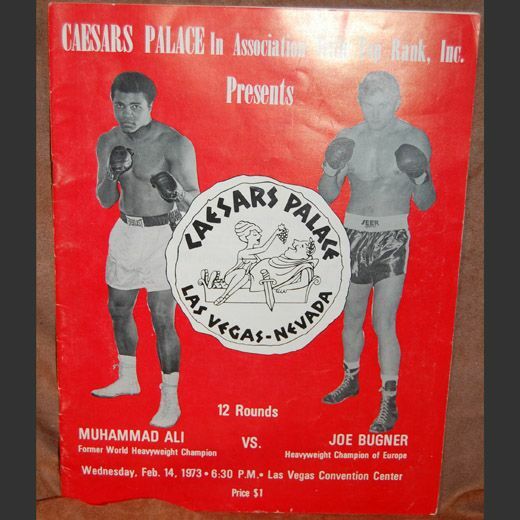 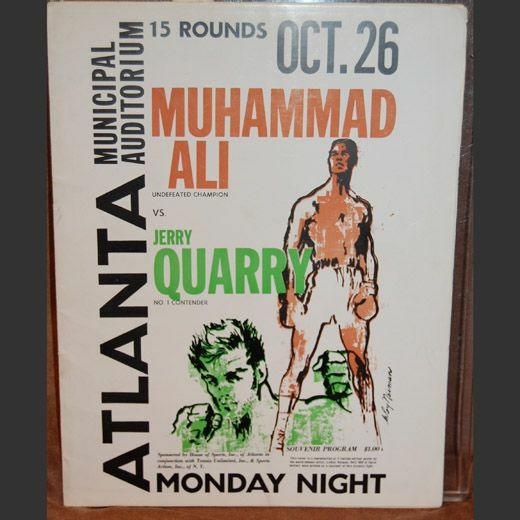 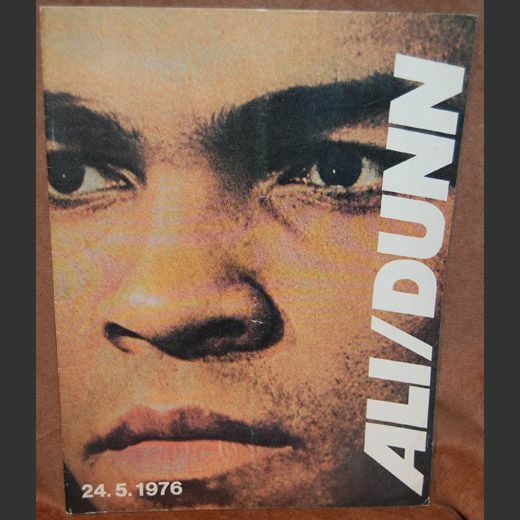 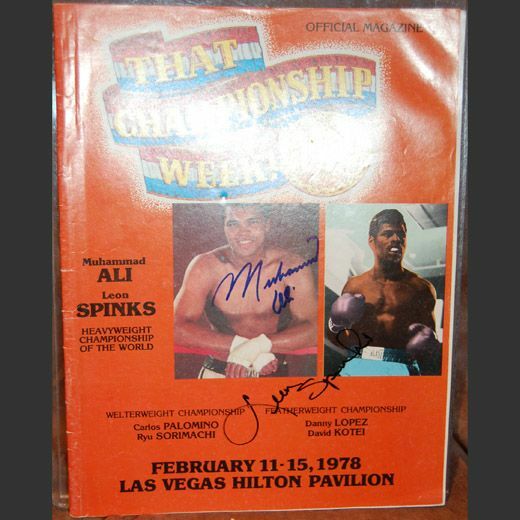 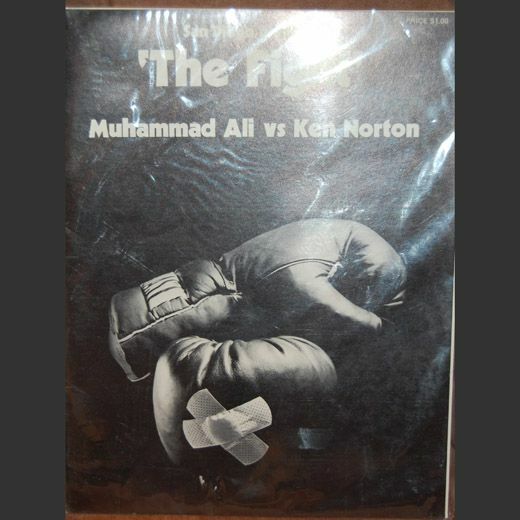 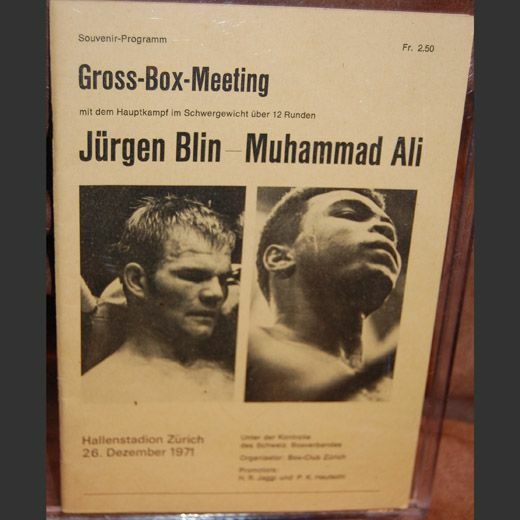 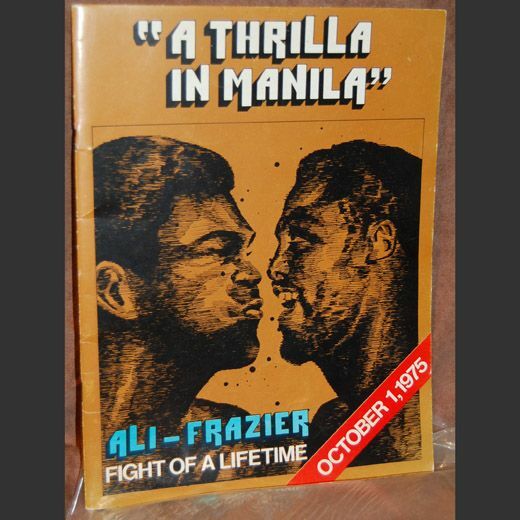 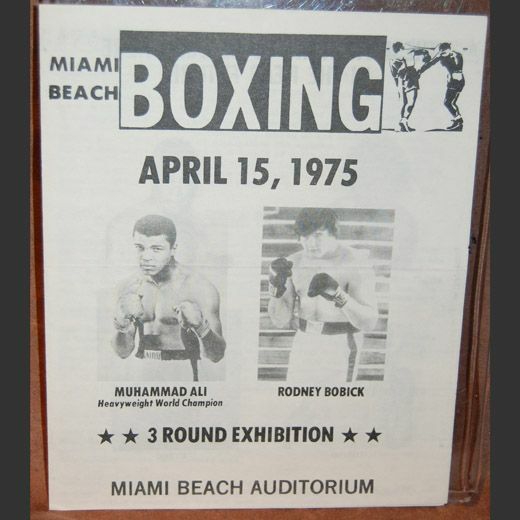 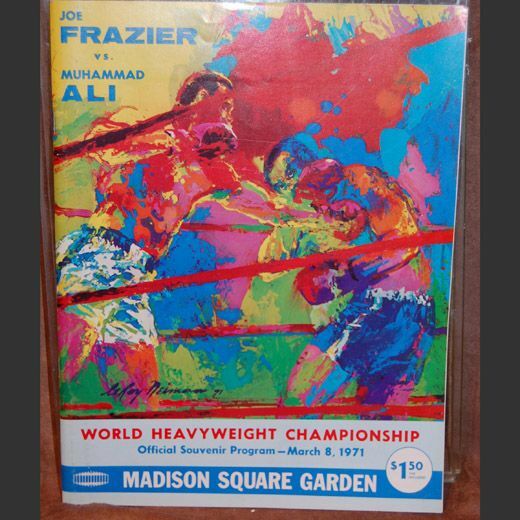 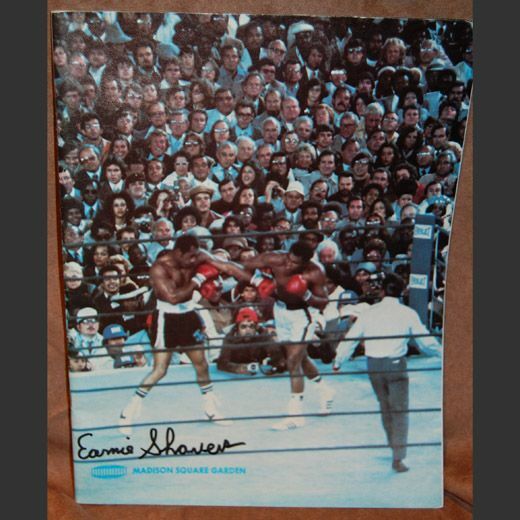 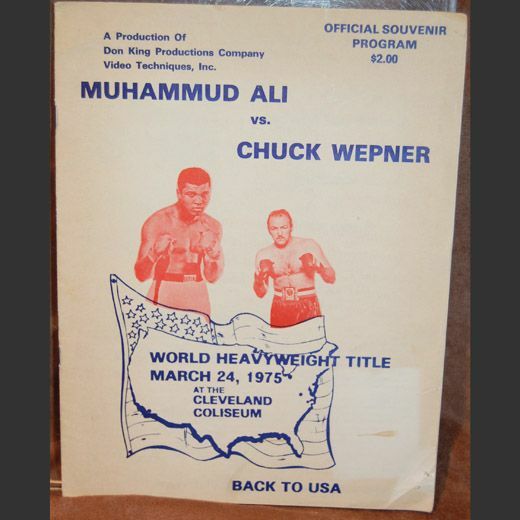 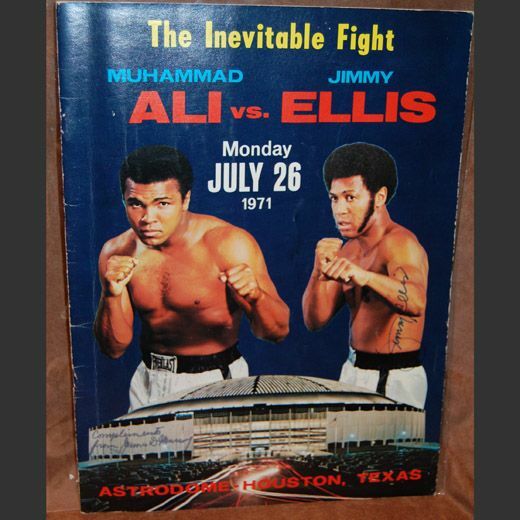 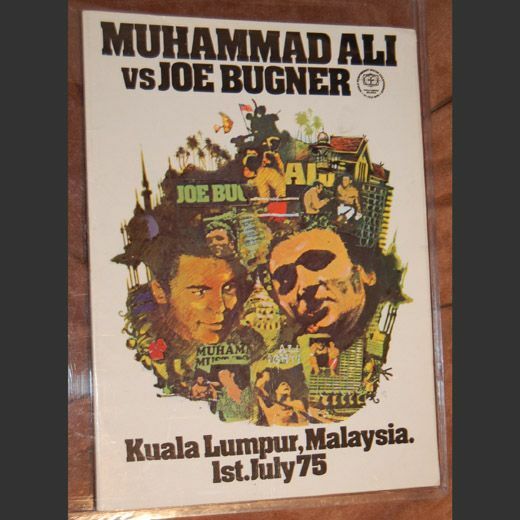 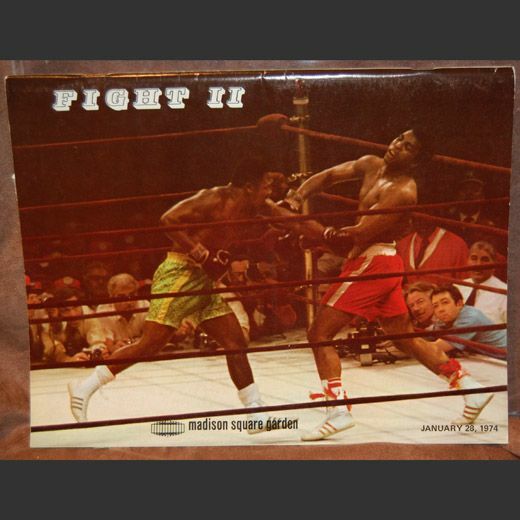 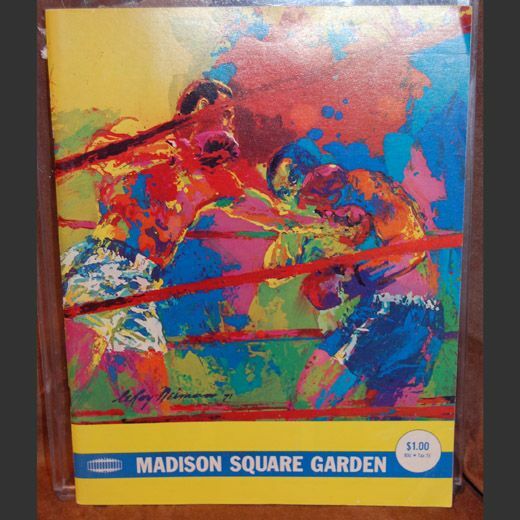 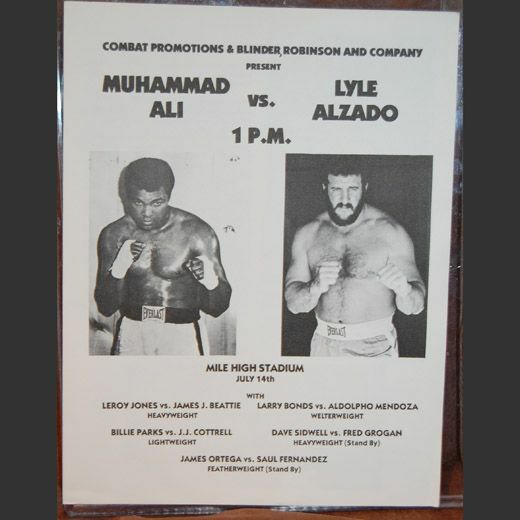 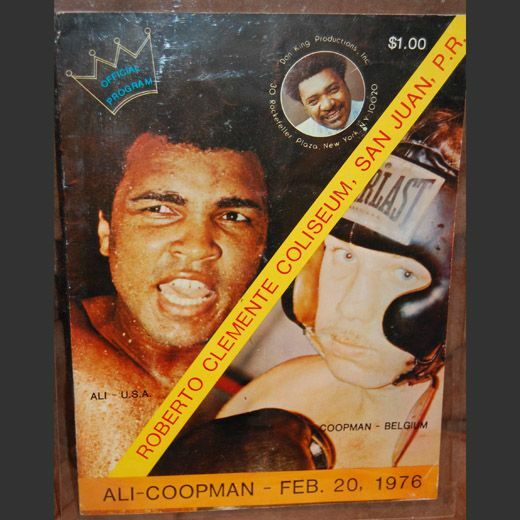 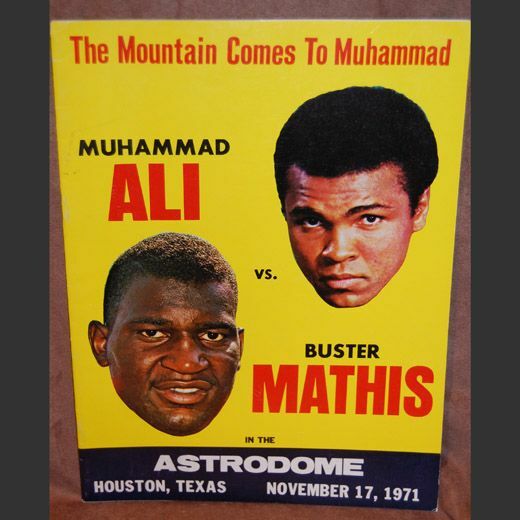 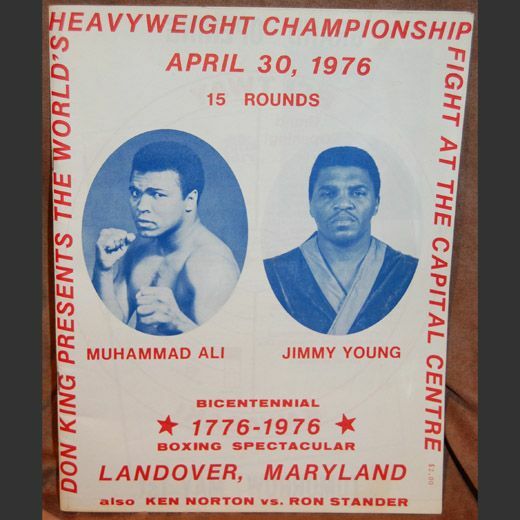 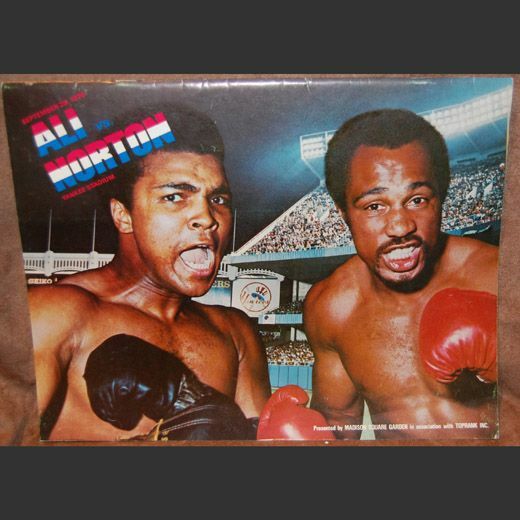 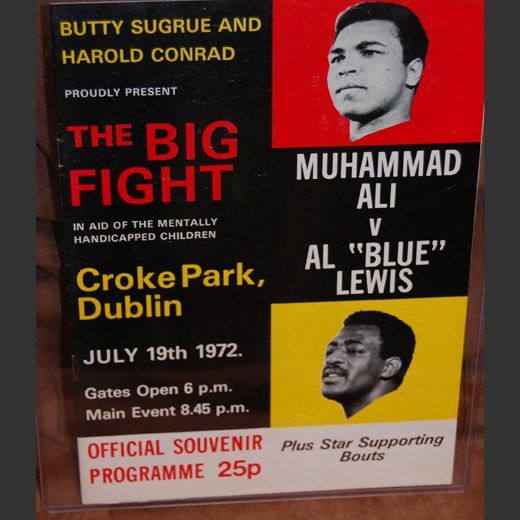 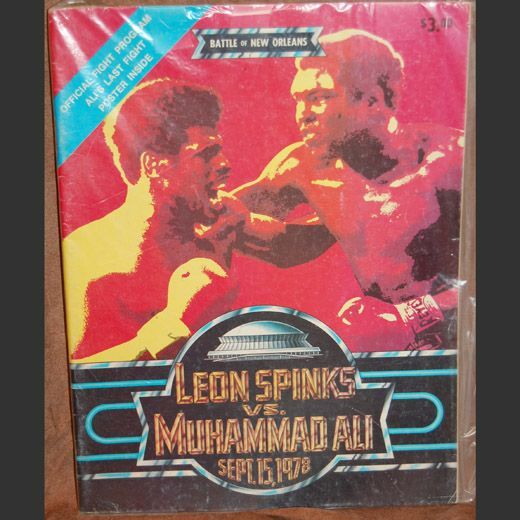 This is an exhibition program that Ali fought a couple of 5 round contests against Alonzo Johnson and Jimmy Ellis, the main event that night was future WBA world light Middleweight title holder Ayube Kalule who won a 10 round decision vs Obdulio Rogelio Zarza to improve his record to 28-0,program is in good shape, a little wear on the spine but it is intact,the program has the results of the preliminaries and the main event written on the scorecard.